We booked our flights to NYC as a one week city break, so we were prepared to splash out a little. However, after booking the flights and doing some research into accommodation and activities I discovered 'splash' was an understatement, it would be more of a pouring. We could have just gone ahead and spent what we had but the ever-budget-conscious traveller in me knew there must be a better way. And ok, we still spent more money than we usually would on a week away but we managed to see a fair bit of NYC without having to open our wallets. So here's a list of some fun things we did for FREE in New York! We visited New York in November and it was getting pretty cold. If you're heading there around Christmas or New Year check out this guide for New York in the winter. This is the oldest and biggest bridge in New York and is spectacular to look at. It also offers great views of the skyline and all the way out to the Statue of Liberty. It's about 1.6km long so an easy walk but factor in some time to stop, enjoy the view and snap a few photos. We walked from Brooklyn into the city as this offered the best view in front of us whilst walking. This is an old railway line that used to run above the city and has now been converted into a park. It's a great place to spend a sunny afternoon people watching or wandering and enjoying views of the city. There are reclining chairs at various points and also some sculptures and art along the way. There was a play being performed when we were there and I've heard there are often buskers. The whole thing is about 2.3km long and can be strolled in an hour or so. For more information about events and location check out their website here. THIS was an absolute highlight for me as a book lover and a budget traveller. Free entry to look at beautiful rooms filled with books. The building is stunning and can take at least an hour to wander through the different rooms or can be seen in a quick fifteen minute look-see. The main attraction is the Rose reading room but there are also many smaller rooms and offices which you can peek into. We only briefly went into the children's section but apparently there you can see the toys which originally inspired Winnie the Pooh. This company offers just that. A huge variety of tours through NYC (and other cities) including street art and food tours, full day tours and tours of particular areas and neighbourhoods. Most tours are 2-3 hours and have a tour-guide with lots of useful information about the area and the city in general. We did the Downtown Manhattan tour which took us through the financial district, Chinatown, Little Italy and Soho. It was a great way to get our bearings of the city and see lots of places in a short time which then could then decide if we wanted to come back to. At the end of the tour you tip your guide whatever is affordable/appropriate for you. If you don't want to give them anything just slip away at the end. Our guide didn't even mention money at the end and slipped all tips into his pocket without looking so it was easy to pay a small contribution without feeling awkward. Definitely lives up to its reputation. 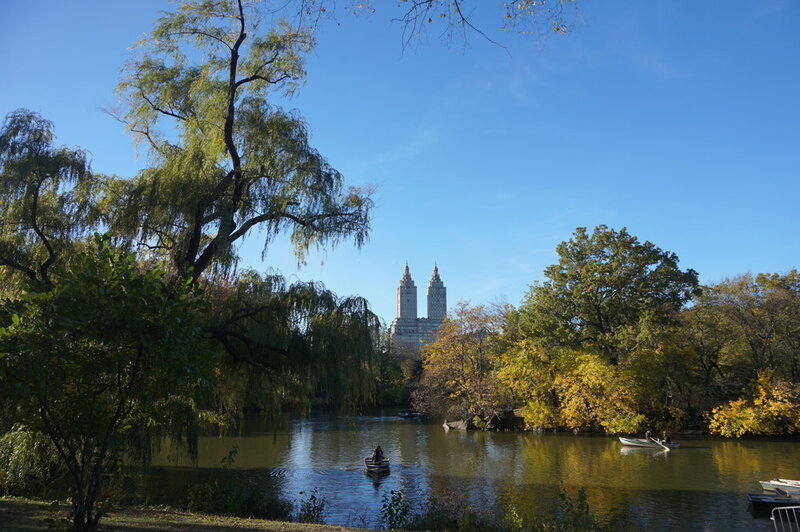 This park is huge and has some beautiful scenery including several lakes, statues and countless paths for wandering. We were there in Autumn and the leaves were amazing, so many different colours. There are plenty of performers and food vendors to break up the walking. We wanted to hire bikes for a day to cycle through but ended up not having the time. I imagine in the summer the park is a hotspot for picnics, sports and families. The famous museum of modern art featuring artists such as van Gogh, Picasso and Warhol is worth a look for anyone interested in any kind of art form. There are 6 floors plus a sculpture garden so you can spend any number of hours in there depending on your interest level. We are not big museum or art people but still spent almost 2 hours wandering the exhibits. And on Friday evenings it's free! We went with a ticket we purchased in conjunction with the Top of the Rock so went one afternoon instead and it was pretty busy. So I guess on Fridays it would be packed, but normal entrance is $25 so it's quite a saving! 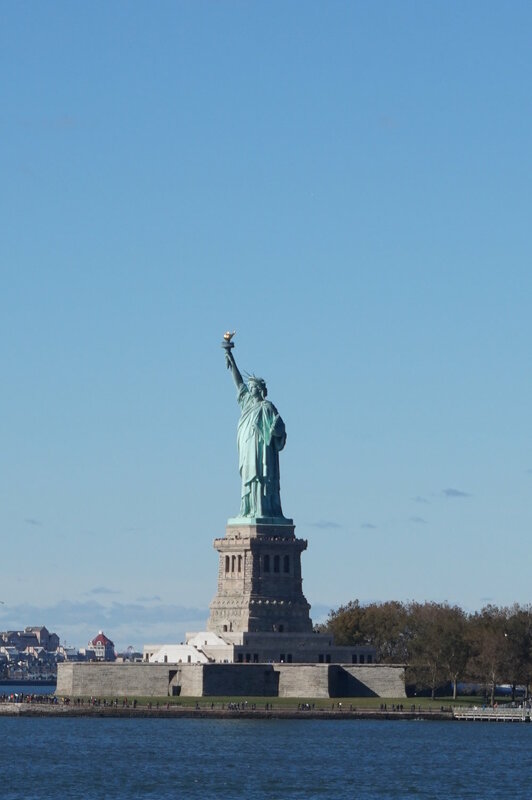 If you don't fancy paying to go on one of the tours to or around the Statue of Liberty you can take the ferry for free to Staten Island which offers decent views of both Lady Liberty and the Manhattan skyline. It takes about 20mins each way and you can stay on the other side or simply turn around and come back again (we did this). It's a huge ferry so don't worry about getting on first. They leave every half hour. These free things to in New York actually took up most of our time. The rest was spent drinking amazing coffee and taking epically long subway rides! And they made our bank account feel a lot better at the end of our trip. New York should definitely be on every bucket list and with so much great free stuff you can enjoy it on the cheap too! Spending longer in the States? Read up on Creative Travel Guide's ways to save money while traveling the USA. Newer PostFive Amazing Things to do in Egypt!